For 2018 Bote has expanded its popular Bugslinger inflatable models. You can now choose from their HD Inflatable or the Rackham Inflatable platforms. 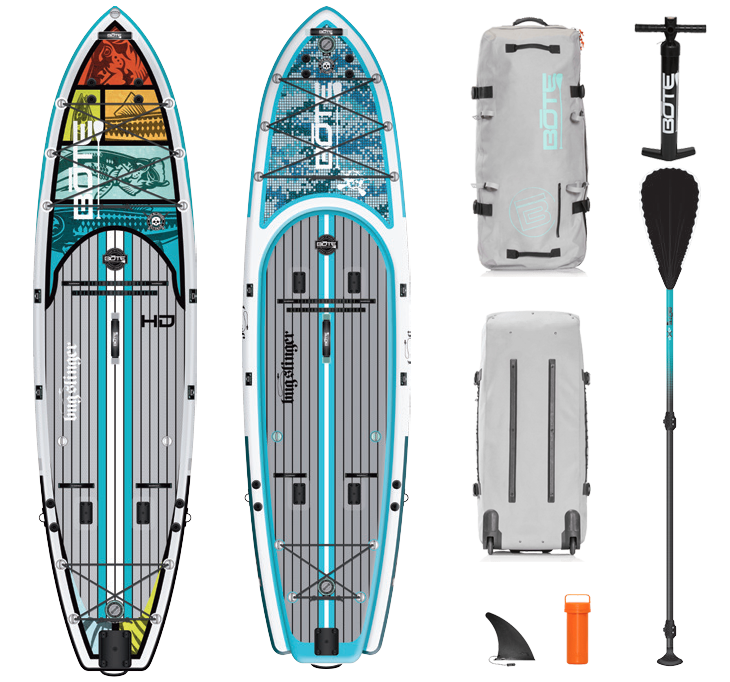 Both options are packed full of features that will help you make the most of your time on the water. 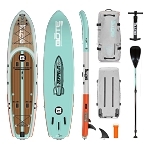 The new HD Inflatable package is built off Botes proven Drift paddle board platform. 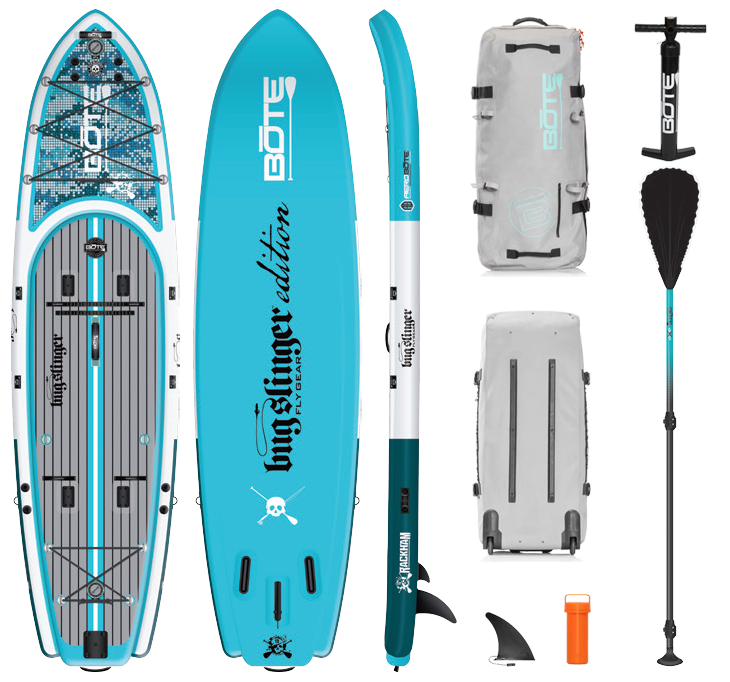 This year Bote has rebranded the Drift as the 11’6 HD Inflatable or “iHD” to make their Aero line better match the rest of their board lineup. With the 11’6 HD Bugslinger Inflatable you get the obvious Bugslinger branded graphics. Your also get a few upgrades that the standard Inflatable doesn’t have. Rear accessory mount: This is a plate built into the rear of the board to potentially allow a small motor or future accessories. Extra Lashing Points: Added tie down options for your gear. Along with the rebranding of the Aero line, the Bote Zeppelin has been renamed the Bote Rackham for 2018. 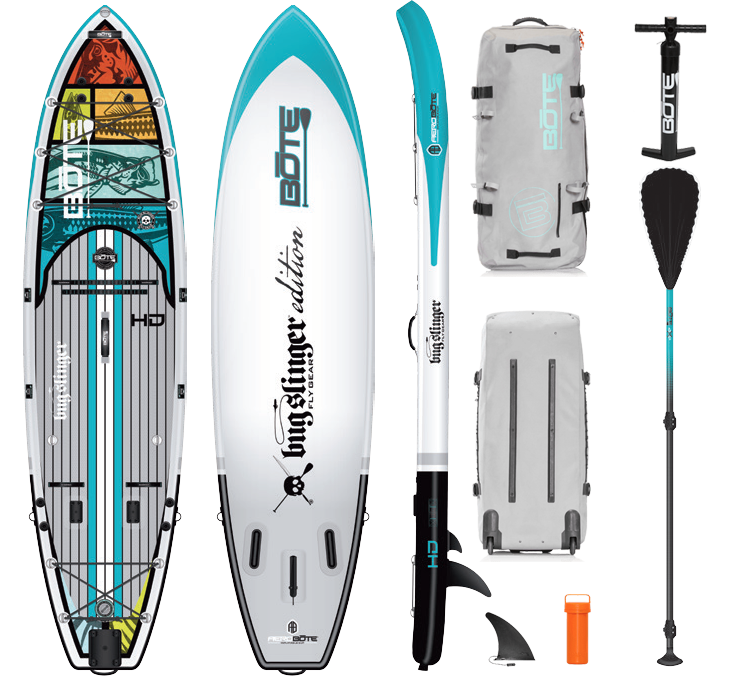 Like the Zeppelin, the new Rackham Bugslinger Inflatable is a feature rich paddle board that’s designed with fishing and expedition in mind. Unlike the iHD, the only difference between the Standard Rackham Inflatable and the Bugslinger Edition is the awesome graphics upgrade. For full details on the Bote Rackham Inflatable platform, Click Here (Comming Soon).